Ocean Group has announced that Searchlight Capital Partners LP has acquired LDC’s entire stake in the business. Tim Bleakley, Ocean CEO, said: “The next chapter will be the most exciting element of our long term growth plan and will enhance the value to our customers of both the Ocean and Signature businesses. Clear Channel has launched Play London, a three-part digital outdoor expansion strategy. Play London comprises, firstly, the London Wrap, a new network of 40 digital 48-sheet screens across London. The first screen installation will take place on 1 October and the network will be completed by the end of December. The second element of the expansion strategy is the more than doubling in size of the digital portfolio of Clear Channel’s premium digital brand Storm. This move will take the number of sites from nine to 20. The final stage of the plan is the rebranding of the LD6 network of 100 digital six-sheets to Adshel Live. Play London forms the first stage of an overall investment in UK digital outdoor, which will feature the nationwide expansion of Storm and Adshel Live with hundreds of sites planned across the country. The outdoor media owner launched the Play brand in 2011, when it expanded its digital portfolio in malls. Birmingham city centre offers one of the most rewarding retail and leisure opportunities in the country. Pulse is Birmingham’s full motion city centre digital network, 4 key locations covering off all of the central retail and leisure areas of Birmingham. For more information visit Ocean Outdoor. Ocean’s banner portfolio now extends to the biggest three banners in Birmingham. These banners are huge creative canvases, covering key strategic locations travelling into and out of the city to its creative and bustling hub. The 1,019m² branding canvas is the biggest in Birmingham. With three faces it is located head on to traffic from all directions at the Five Ways roundabout – a gateway into Birmingham. Dominating the Bullring approaches from Digbeth and Eastside, the 500m² banner is located in the Shoreditch of Birmingham where Digbeth’s clubs and restaurants, as well as the creative and media centre ‘The Custard Factory’, reside. Clear Channel has hired Mark Smith, the planning operations director at Kinetic, in the new role of agency director, replacing Ged Weston, who is joining Eye Airports as sales director.Smith will work with Posterscope and Talon Outdoor and their media agencies, and with the other agency director, Kerry Hindhaugh, who handles Kinetic and its media agencies.He will report to Martin Corke, the Clear Channel sales director. Clear Channel recently promoted Corke to its UK management board. Smith was the client service director at Kinetic between October 2010 and July this year, before becoming planning operations director. 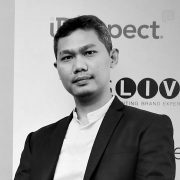 He will join Clear Channel as agency director in October. Smith, who was at Kinetic and its predecessor Poster Publicity from 1998, was business director from 2004 and then a strategic planning director across EMEA between 2008 and 2010. He started his career in sales at TDI, now Exterion Media. Chris Pelekanou, the commercial director at Clear Channel, said: “Mark’s appointment will get us closer to our advertising partners and make sure we continue to help brands reach their audiences. Ocean Outdoor has bought the West Midlands-based outdoor media owner Signature Outdoor in a deal estimated to be worth £15 million. The co-founders of Signature Outdoor – Gerry Bew and Steve George – will join the Ocean Outdoor executive team led by Tim Bleakley, the chief executive. Signature Outdoor will also have a seat on the Ocean board. Signature Outdoor’s digital sites and banners will now become part of the Ocean portfolio. Signature will continue to operate its backlight portfolio and some digital sites under the Signature brand and its six staff will be retained. The deal follows Signature Outdoor winning the large format contract for Birmingham City Council in 2012. The deal is comprised of both cash and Ocean Outdoor shares. Bleakley declined to comment further on the terms of the deal, which he said were undisclosed. Ocean Outdoor itself changed ownership in 2012 after LDC Capital, the venture capital arm of Lloyds Banking Group, backed a £35 million management buyout. Outdoor Plus has launched two new sites, adding to its portfolio and has announced a £10m investment package for 2014. The two latest London sites on the A41 Hendon Way and at Purley Way Fiveways will be unveiled today. The Hendon Way site is next to an arterial junction, which connects London’s commuter belt with the A41 and the Brent Cross shopping centre slip road, while the digital Purley Way Fiveways sight is on the route from Gatwick to London, and is close to the Valley Park retail hub. In April, Outdoor Plus also introduced a digital site in East London, on the A12 Cross Route. As part of the review, responsibilities for future products will be integrated into other functions of the business and as a result Alex Hollingdale; Product Director has decided to leave Clear Channel. With the company set to embark on a new phase of their strategy, Marketing Director Emma Newman has decided that, having completed her marketing contribution to Clear Channel’s current three year plan the time is right to move on to a different opportunity. Errol Baran, the Managing Director of Clear Channel’s new premium digital out-of-home brand Storm is also to leave the business. Errol was asked to build the Storm brand and business, as well as bring together a management team and develop the first all-digital out of home commercially flexible proposition. That is now complete and Errol leaves Storm in a great position for the future. Andrew Morley, Chief Executive, Clear Channel UK said: “With both Clear Channel UK and UK out-of-home media set to go through a transformation, we’ve taken the opportunity to review our senior management team. Over the past two years, Clear Channel has pioneered innovative new technologies with the UK’s largest deployment of NFC and QR through our Connect mobile platform, and the launch of Storm. “The appointment of a Technology Director of Victor’s calibre demonstrates how important we believe emerging technologies will be for brands and consumers in the future. Martin’s promotion is well-deserved recognition for his commitment, commercial acumen and the fresh approach he has brought to the role. Three days into his role as the international chief executive of Exterion Media – the company known as CBS Outdoor until January – Shaun Gregory is already a bit bored of the obvious questions. Yes, he is aware of next year’s tender for the £1 billion London Underground contract, and that people have concerns about the company’s private-equity ownership, but he does not want to talk about that. He wants to focus on the possibilities of outdoor, both for brands and the wider public. Executives in the outdoor industry have eulogised about its synchronicity with mobile for years. Yet there is still a sense of untapped possibility. Gregory, however, can speak from experience. He has spent the past seven years developing mobile advertising businesses. As the chief executive of the ad-funded network Blyk and then running Telefónica’s ad division globally, he has been at the forefront of attempts to develop mobile advertising around the world. Gregory says that, after his tenure at Telefónica, Exterion was the “natural” next step. His experience working with Telefónica’s Onthespot, which provides point-of-sale interactivity in 82 countries, and the UK’s outdoor audience measurement platform, Route, has assured him out-of-home is “well-positioned not just for growth but growth ahead of other media”. When Gregory talks about growth, he is talking about the outdoor industry taking share from other media. But his vision extends to “changing environments for the better”. Gregory says out-of-home has an opportunity to “genuinely change people’s lives and consumer habits” and gives the example of interactive shopping billboards in Asia. The click-and-collect services now offered at some Tube stations are just the start, he says. But for all this talk of the future, it is impossible to ignore the fact that Gregory is taking over a business that has had an uncertain four years. The Underground deal, the biggest outdoor contract in the world and signed before the financial crisis hit, threatened to drown CBS’s international outdoor division. Although the contract was eventually renegotiated, Exterion will have to fight to keep it in 2015. It must be difficult to have to keep answering the same questions about the past when you claim to be so excited about the future. But Gregory does it with patience. A hard-working northerner who worked his way up from regional radio ad sales at Emap, Gregory is widely respected. He may not join the team in the pub every Friday evening but he is fiercely loyal to them. That said, there are still many issues to resolve, not least whether the UK team needs strengthening. Gregory gives his support for the UK managing director, Jason Cotterrell, and his team, as well as the way they have continued to grow the business through a period of instability. But a clear mission for the company and Gregory’s hard-working ethic will come in handy if he wants to realise his vision for Exterion.